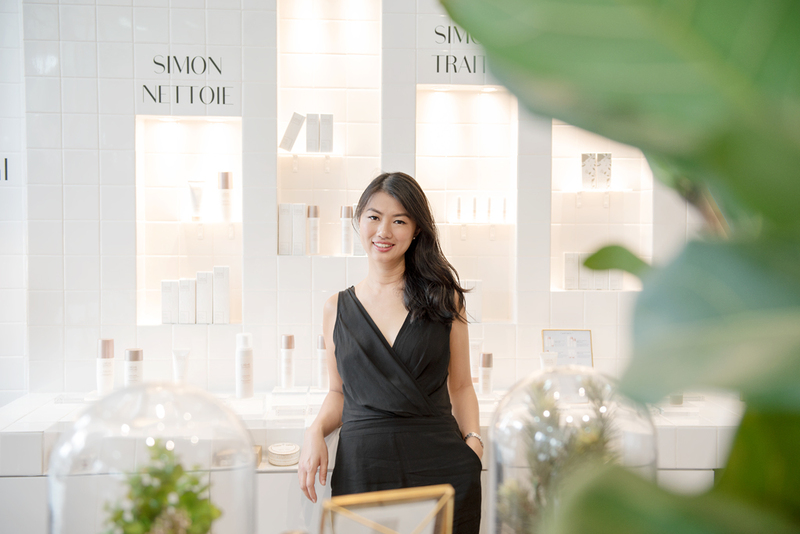 What a story Crème Simon had to tell," exclaimed Felicia Soh, Managing Director of Crème Simon, when I asked her why she decided to bring the brand to Singapore. 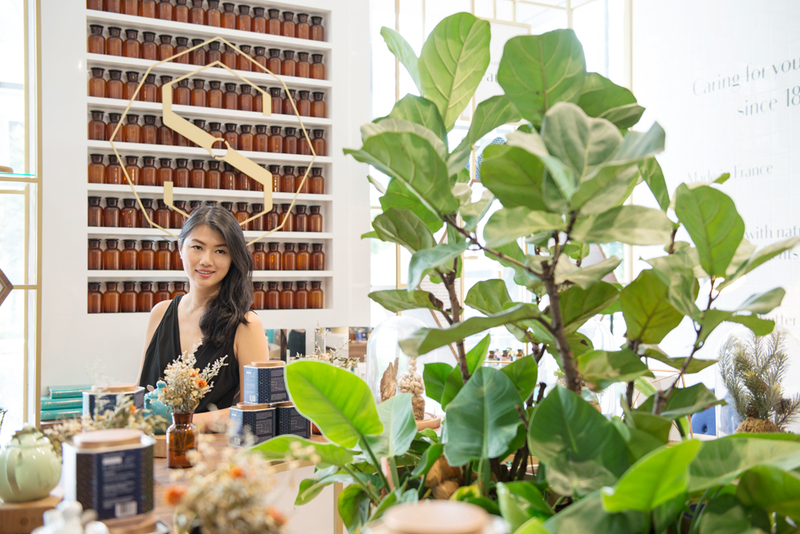 While popular in Europe, the name hardly rings a bell here, especially when competing with big names like Sephora, Aesop, Kiehl's, SK-II, and the like. Curiosity got the best of me, and over lunch at Venue by Sebastian, Felicia opened my eyes to the heritage brand that's experiencing a slow, but steady rebirth in 21st century Singapore. What was it about the Crème Simon brand that drew you to it? Crème Simon is a brand that many French (or rather their parents, and their parents before them) are familiar and grew up with. Before 1970s, it was THE beauty brand of its time. In fact, before WWII, Crème Simon was considered the unrivalled No.1 French skincare brand. Did you know that Crème Simon is one of the oldest skincare brands from France AND the creator of the world’s first stable and natural beauty cream? Back in the 20th century, unstable cold creams, ointments and salves, often made from natural and unstable ingredients like whale fat or beeswax, dominated the market. But Crème Simon’s apothecarist founder, Joseph Simon, completely revolutionised this industry with the first natural and stable formula in 1860. And for the first time, botanical glycerin, still one of the best known moisturising ingredients today, was also introduced into skincare. His invention marked the birth of modern cosmetology, making it possible for everyone to buy over the counter with a longer, stable shelf life. Given today’s climate, we feel that the skincare market we come to know is shifting beyond just the big brand names and conglomerates. These days, customers are increasingly savvy and are looking for niche, sophisticated brands with real stories, quality, and values they can identify with. This is a growing market segment with niche beauty brands accounting for more than 25% of prestige beauty market — compared to only 2% a decade ago. So basically, how can we resist? Crème Simon has a long history in Europe dating back to 1860, but is perhaps not so well known in this side of the world. What made you decide to bring it over? It was an obvious choice and opportunity for us. Firstly, the French legacy is quite unlike any other brands we've come across. Secondly, it was marketed as a natural whitening cream with their signature floral ingredients to heal and brighten skin in 1860s, which makes it all the more relevant for Asia. Plus, I know Crème Simon works! Having a genetic form of dermatitis, I have always been prone to red, sensitive skin. So much so I had to be exempted from physical education since I was 10. The steroid creams often dispensed by the dermatologists I was seeing then wasn’t an ideal long-term solution. Today, I am also using Crème Simon’s multipurpose healing cream, Crème Universelle, on my little toddler girls who have very sensitive skin. "These days, customers are increasingly savvy and are looking for niche, sophisticated brands with real stories, quality, and values they can identify with." What were the qualities of the brand that you felt would resonate with the Singapore customer? Other than its amazing legacy, it is, above all, an authentic and timeless brand with honest apothecary values you can trust. It’s like the voice of a family doctor who shares advice and cares about your wellbeing. Embodying our tagline, “Caring for you since 1860”, we have created Crème Simon’s pillars of beauty and wellbeing, from beauty wellness, nutritional, social, emotional, physical, mental and sleep wellness, to challenge people to review their lifestyle choices. 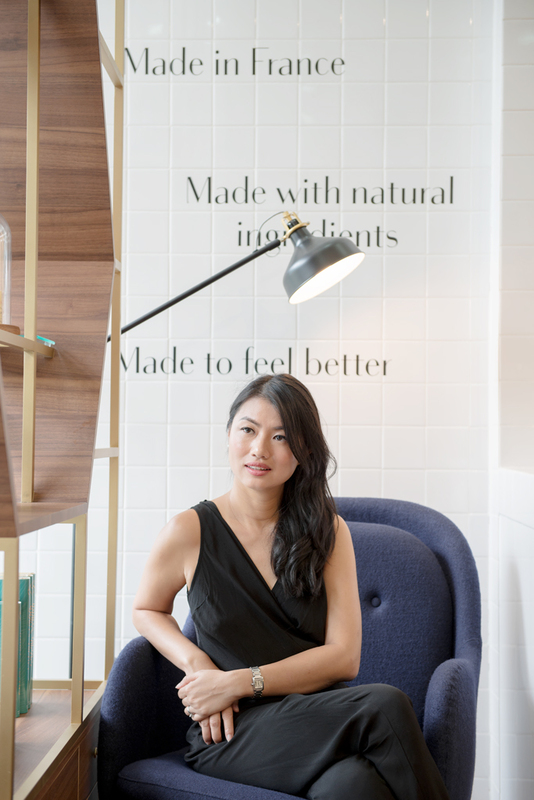 Because how you look depends on how you feel, sleep, eat, and manage stress, we believe the health of you skin depends on your emotional and physical health too. I believe our brand comes at an opportune time when Singaporeans are more savvy today more than ever, and are looking to challenge all the marketing hype and exaggerations made by most other brands in the market. Consumers today are smarter and more empowered, propelled by the popularity of social media and Internet, which make them more aware of what goes into their beauty regime. Likewise, it’s also in our interest to be honest, transparent and care for the welfare of our customers so that they make the right choices for themselves. You could say that you’re responsible for the resurrection of the brand, expanding it to ranges beyond skincare. Can you walk us through the business blueprint you worked on to bring Crème Simon to where it is today? It may sound cliché, but as most entrepreneurs can tell you, Crème Simon is a labour of love to be constantly nurtured for long-term growth. It is also important that the French tradition, expertise quality and production remain the heart of our entire skincare range of products. These days, in a competitive, cut-throat market where many companies are downsizing costs by outsourcing production to countries like China, Indonesia or Korea, or choose to use synthetic equivalents to natural ingredients, we still insist on being natural and wholly French-made: From R&D, production, even right down to our packagings! Crème Simon has to maintain its strict and uncompromising French standards of quality to be considered a true French brand. By going back to our French apothecary roots, it makes sense for us to launch other complementary holistic lines such as wellness teas and nutritional supplements to complement the only sustainable approach to beauty inside out. Our supplements continue to be made in France to the highest standard, particularly in a country that does not allow any ingredients to be used unless proven safe, unlike other supplements often made in other countries. For those who have the same idea of bringing in a niche overseas brand to Singapore and breathing new life to it, what would your advice be? It all depends on the resources you have available at your fingertips. It’s hard to say if one thing is more important than the other, but finding the right strategic partners and team members would be very crucial to the success of your venture. In such a setup, you would obviously need thinkers that are also do-ers to make things happen! Beyond being a beauty and wellness brand, what does Crème Simon mean to you? It means everything to me, so much so it has become an extension of who I am and embodies so much of my personal beliefs. Having been unexpectedly diagnosed with cancer and then losing my father to cancer this year, I was admittedly very much affected. As a mother of two young girls, I went through a period of shock and disbelief, followed by bouts of sadness and anger. I wanted to be there for my children to see them through university, and hopefully one day settle down. And I was bitter for the longest time. Until one day it dawned on me… that it is we who have to take responsibility for ourselves, our own lifestyle and consumer choices. There is still so much to do and share about what we are doing to our health beyond just skincare. Yes, good skincare can do a lot, but not everything. How we feel, what we eat, how we sleep, and what we do are just as crucial. So Crème Simon, to me, has become a platform for to empower people to take responsibility of their life, to adopt a healthier holistic approach to beauty, be it about the type of products we choose to use, finding out more about the controversial ingredients within, or adopting health and wellness tips on your physical, mental and emotional wellbeing.